Since 1925 Heather & Little has earned the trust of customer's decorative sheet metal projects throughout North America. View successful projects on the interactive map. Not to brag, but quite a few have won awards. H&L was contracted to reproduce historic hollow metal windows as part of this restoration project. Replicated historic sheet metal roof tiles for exterior restoration project. Part of the investigation study for upcoming restoration. The main copper dome and masonry will be the first phase of a multi-year restoration program. Heather & Little was contracted to perform a condition report on the major copper dome in preparation for a major restoration project of the copper roofing and dome. Heather & Little, working collectively with Nicholson & Galloway and Eagle One Roofing of New York, provided the fabrication and supply of ornate copper dormer surrounds for the new tiled mansard roof on this famous historic hotel in midtown, Manhattan. This project received a North American Copper in Architecture Award for Restoration. Heather & Little installed lead cladding on the ledges and water tables of this monument to protect the newly restored masonry. Heather & Little fabricated copper clad kalamein windows, transoms and doors for this historic Broadway theatre. Originally H&L was contracted to reproduce a small pressed copper element, but as a result of a fire during construction Heather & Little was contracted to reproduce curved copper cornice, decorative urns, ornamental copper ram’s and lion’s heads along with other decorative copper elements. Ornamental Sheet Metal Fabrication including major copper dome, copper balustrades, ornamental copper stampings, copper finials, cornices, flagpole base, and copper garlands. This project received a North American Copper in Architecture Award for Restoration. Restoration of the tower, cornice, windows, masonry and new cedar roofing. Ornamental Sheet Metal Fabrication, This project received a North American Copper in Architecture Award for Restoration. This massive Cathedral was constructed during the 1980’s. Heather & Little was hired to install the copper roofing, taking over one-year to complete the new copper roofing, cupolas, and domes. The domes are capped with cupolas gilded in 23-karat gold! This beautiful church was restored by Heather & Little using a combination of sheet copper and lead-coated copper for the sheet metal ornamentation. A new slate roof along with architectural sheet metal was replicated as part of the sheet metal restoration project. 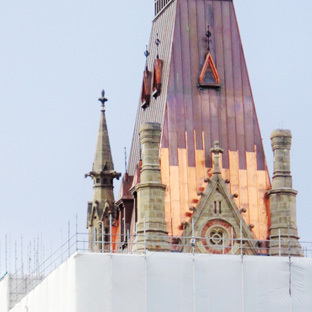 The rehabilitation of the tower and steeple was completed with copper roofing and ornamental sheet metal architectural details by Heather & Little. This project received a North American Copper in Architecture Award for Restoration. Heather & Little was commissioned to reproduce the decorative copper elements of this building that was constructed as a memorial to the alumni of Harvard who died in the great civil war. Work included copper crestings, finials, spires, trefoil copper dormers all recreated from the original full scale drawings. After years of attempted repairs on the built-in copper gutters fitted at the base of the slate roof Heather & Little removed the existing copper and installed a new 24-oz gutter system complete with expansion joints and sloped to drain properly. This private family retreat in Lake Tahoe included a custom stamped copper panel roof, a decorative copper entrance, garage doorways and a 10-foot by 20-foot wide main gateway in heavy gage copper. It received a North American Copper in Architecture Award. Heather & Little has customers beyond US & Canada. In Hamilton a hurricane-proof batten copper roofing installed by our team which is the only copper roof on the island of Bermuda. Project involved the reproduction of copper elements for the restoration of the clock tower. The components were built in a marine facility in Rhode Island, set on barges and floated down the Hudson River to the city, lifte by crane into positon on the clock tower. This project involved the restoration three huge ventilators made from galvanized sheet metal and cast zinc for the ventilation system atop the slate roof. Combined restoration project of masonry and roofing, new lead-coated copper cornice ledge flashing and new lead-coated copper rainwater system was installed. One of the oldest steel mills in the United States, recently converted to a museum. Heather & Little fabricated the hollow metal double hung windows and kalamein steel doors. Heather & Little performed lead work in conjunction with new slate roofing during the restoration of the Citadel. The Ottawa office team project manages and have worked on the numerous Canadian Government building and a variety of other local and regional projects. Please contact us to learn more: Call 800-450-0659 or email info@heatherandlittle.com. Synthetic shakes were used in this roof replacement project to replace the existing cedar shingles. Heather & Little replaced the slate roofing on this historic church. We also restored the church steeple and replaced the ornamental architectural sheet metal elements on the spire with new lead coated copper. Heather & Little was awarded the contract for restoration of this church work included slate roof replacement, masonry repairs, and decorative copper flashing and trim. Heather & Little was engaged as we had the finest pre-patinated 16-ounce crimped copper for use in the reconstruction of the octagonal copper dome. Although we only played a small part in this one the project received a North American Copper in Architecture Award for Restoration. University of Ontario Institute of Technology, "Ontario UOIT"
This project received a North American Copper in Architecture Award for New construction, involving the an insulated copper wall cladding with standing seam panels. Heather & Little replaced the copper roofing for five restoration phases on this historic hotel with new standing seam copper roofing, copper cornice, plus many ornate decorative elements. Heather & Little had 56 employees working on this copper roof restoration project which included a copper roof of the inner courtyard, and all copper elements such as finials, dormers and inlaid copper gutters with heat tracing were fabricated and installed using 20-ounce sheet copper. Part of the restoration work on Thomas Jefferson’s original homestead performed by Heather & Little was the reproduction of original rain water system in sheet lead. Heather & Little restored the badly deteriorated masonry terracotta with sheet lead cladding. Heather & Little replaced the batten seam sheet metal roof. This was a monumental four-year project on the historic city hall. The copper roofing restoration was awarded the “Roofing Project of the Year” by the Canadian Roofing Contractors Association. Work also included the clock tower, cast bronze gargoyles, decorative finials. Heather & Little restored the copper statue of Miss Freedom that is perched atop the dome of the Georgia Capital Building. Trumbull Court House restoration project required creating custom stamped ornamental sheet metal tiles, finials, and stamped sheet metal wall panels to restore this historic courthouse’s roof. Also, created was a new Lady of Justice statue. The historic Peace Tower is focal point of the Centre Block of the Canadian Parliament Buildings. This project involved a new air-vapour barrier, wood battens, the restoration of the original copper roofing on the tower and the repair of the decorative copper cresting. Built in 1913, Heather & Little replaced the existing asphalt shingles on this large, historic armoury building so it could continue to serve as a wonderful historic venue for the community. Two residential county buildings required the removal and replacement of asphalt singles for the County of Wellington. The circa 1875 John H. Daniels Faculty of Architecture, Landscape, and Design at U of T is getting a $50-million make-over. Our work including a new asphalt roof, new decorative sheet metal on the tower, asphalt shingles, lead-coated copper and a galvanized steel sheet for the 50,000 sq. foot addition. A new clubhouse was designed, but to preserve a historic feel Heather & Little was engaged to install a classic cedar roof, coated-copper dormers and gables. This log cabin, Toronto’s oldest known surviving house, was constructed in 1794. Heather & Little added a new cedar roofing system as well, masonry repairs were performed. Heather & Little installed #1 Grade Blue Label Western red cedar shingles replacing the existing roof, provided new copper flashings and lead-coated copper valleys in copper, and also installed custom-made eavestrough and downpipes. Heather & Little re-produced decorative metal coverings for the twin steeples of the National Historic Site using sheet EZEFORM stainless steel. Progress on the project was complicated by the rehabilitation needed for the deteriorated wood support structure. Awarded The Canadian Roofing Contractors Association’s ‘Project of the Year’. Complete copper dome restoration in 20-oz sheet copper and sheet lead weatherings for masonry restoration. Zoom in to see other H&L projects in Winnipeg. When Heather & Little began the Branksome Hall slate roof, the entirety of the existing roof and metal work had to be removed. Reinstallation of roofing elements included both slate and copper work. After the ravages of hurricane Ivan local contractors enlisted our service to reproduce decorative sheet metal cornice work on several historical building that had been damaged during the storm. The Memorial Tower (Dingle Tower) Dingle Tower is a commemorative monument built in the early 1900s to recognize the 150th anniversary of the establishment of representative government in the province of Nova Scotia. Heather & Little’s work on the domed metal cupola restoration project included items such as pressed cornices, dormer ornaments, shields, capitals, stamped copper elements, garlands and window ornaments. Heather & Little provided custom stamped sheet metal ornaments reproduced for Library of Congress dome including “The Flame”. To accurately reproduce each decorative copper element, Heather & Little created new stamping dies for the garlands, cornice elements, shields and more. Both 20- and 24-ounce copper sheets were used for this task, depending on the requirements of each ornament. The project was awarded a North American Copper in Architecture Award (NACIA) for the restoration. Heather & Little fabricated a 20-ounce copper medallion, standing 9 feet tall. It was hand-sculpted using different elements for the die casting and pressing for the copper. To reflect the image of the building that was created in the 1870s, we used the original full scale blueprints produced shortly after the Civil War. The intricate copper work had to match the designs and colours of the slate details and patterns. Heather & Little fabricated and installed new copper roofing, new copper dormers, cresting, cupola, the entire copper tower, and ornate 41-meter diameter copper clad dome. This project received a North American Copper in Architecture Award for Restoration. This restoration entailed the complete reconstruction of the 150-year old wood frame steeple. New sheet metal cladding and decorative architectural sheet metal was reproduced in sheet copper and stainless steel. The project was one of Wisconsin’s ‘TOP TEN PROJECTS’ for 2004. Heather & Little fabricated copper Kalamein windows and decorative stamped copper detailing for the building. Heather & Little created new, custom-made metal clad doors, 20-ounce sheet copper to craft custom-sized doors with a handmade patina finish for the boardroom entrance. The eight bronze doors with transoms were a challenging project for the Heather & Little, as our only reference was a vague, one sheet historical drawing. 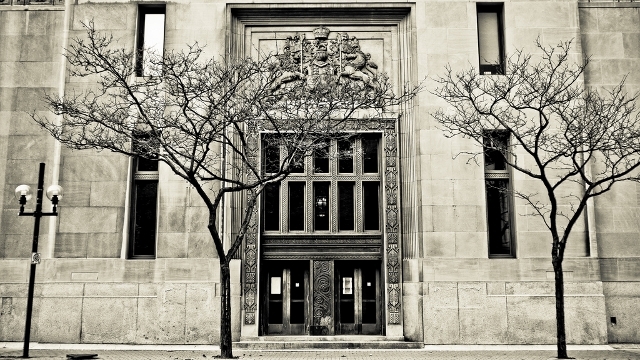 Winner of a Toronto Heritage 2015 Award of Excellence for Bronze Entranceway. This was a large scale restoration involving replication of decorative sheet metal components in copper, including the cupola, major dome, decorative roof finials, four minor copper domes, copper cartouches, and curved copper batten caps for the dome roofing. Heather & Little used 20-ounce copper sheets to restore the mansard roof area on four elevations. The restoration of decorative ornaments included stamped sheet metal roof crestings, finials, cartouche, cornices and decorative copper hip covers. Heather & Little worked from aged black and white photographs to create the statue which had been lost in the 1940s. 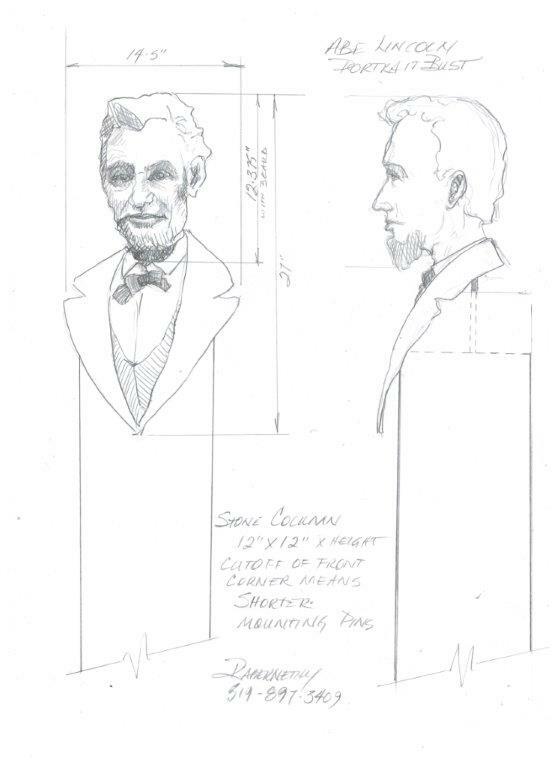 We used our own existing statue dies as we had worked on other Texas Court House projects. The 24-ounce sheet copper is a tribute to Lady Justice. Heather & Little restored this Lady of Justice statue as part of a major restoration of the Edgar County Courthouse. The original deteriorated statue was fabricated in sheet zinc; a new steel support mast had to be incorporated before returning her home. 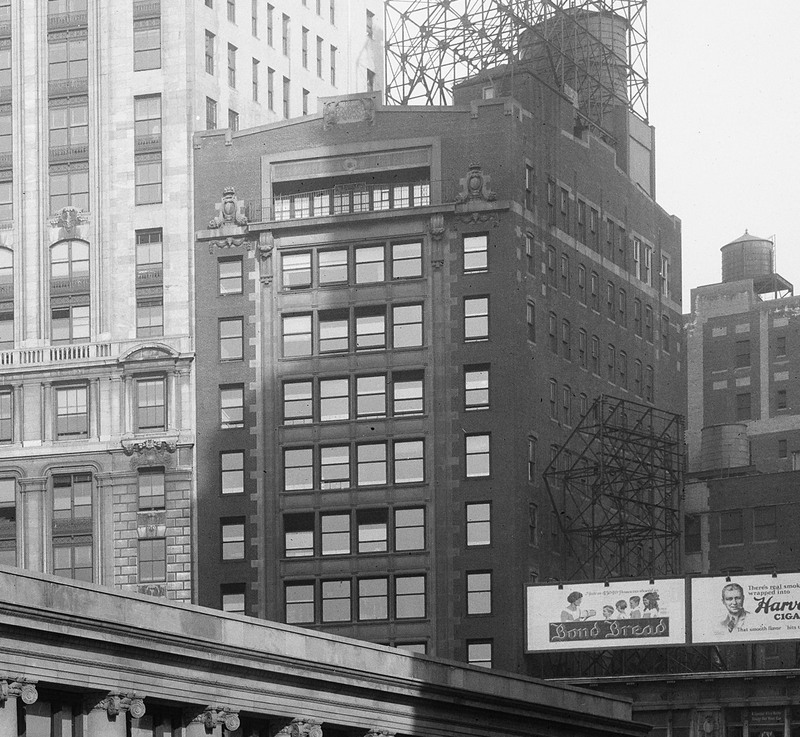 The original tower, roof; clock; and the statue of the “Goddess of Justice” were removed in 1938. The statue was put in a safe place for future re-installation. So safe that after over fifty years later, the statue still hasn’t been found. Heather & Little made a reproduction. Heather & Little was commissioned to fabricate this monument dedicated to World Peace, consisting of a series of brass tube framing elements with continents silver soldered in the exact global locations. The surface sheet metal elements (the continents) were all formed and attached by hand. World Peace Monument Parkdale Toronto ON 1303 Queen St. W.
Heather & Little restored the exterior of an Avro CF100 vintage aircraft, all damaged elements of the aluminum metal cladding were replaced with new sheet aluminum. Creemore Springs’ original brew kettle was shipped to our Heather & Little workroom where it was restored to its beautiful and bright copper appearance. We installed a custom-designed video monitor mount to attach a video display to the kettle in a retail outlet. Heather & Little is working on this restoration project. The first phase of the copper roofing and masonry restoration completed working with Ellis Don Contractors. 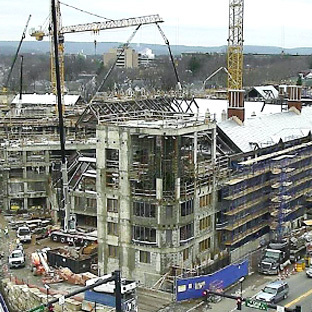 Heather & Little has worked on this massive multi-year project, and have helped restore literally every building on the Hill, winning us a North American Copper in Architecture Award (NACIA). Cobra Construction of Calgary Alberta contracted H&L to reproduce historic sheet metal shingles to replace the original roofing for this historic building restoration project. Midwest Maintenance selected H&L to help on this courthouse restoration project. Our part involved the restoration of the original Lady of Justice Statue made in sheet zinc. Newly constructed home, the owner chose to install a traditional standing seam sheet roof with a Kynar finished paint system. Restoration in lead sheet roofing and lead capped masonry walls on Roman Catholic Cathedral. CLERKIN CONSTRUCTION of BrandyWine, MD contracted to reproduce a radiused sheet metal cornice in galvanized iron. New pre-finished sheet metal wall panels were produced to reclad the exterior of the H.P. Tergesen & Sons General Store located in Gimli Manitoba which is the oldest general store in the province. Heather & LIttle Limited was contacted directly by the Cathedral of St. John the Baptist to perform a roof condition report inspecting the condition of copper and slate roofing and prepare a budget for an upcoming restoration of the church. Fabricated and supplied pre-finished sheet metal Spanish Tiles for the restoration of the Historic Old YMCA Building, Calgary Alberta. Contracted by RCC North of Calgary AB, H&L reproduced historically accurate stamped sheet metal shingles for the historic Inglewood Telephone Building in Calgary. Reproduction of four large ornamental column capitals made in copper sheet for the Jones County Courthouse. Schnellbacher-Sendon of New Jersey enlisted the services of H&L to produce 2800 square feet of copper Spanish tiles including hips, and valley tiles all in 16 ounce copper sheet. Reproduction of sheet metal Spanish tiles in 16-ounce copper sheet. Complete restoration of several ornate copper dormers for Henderson & Johnson Roofing of Syracuse NY. Replica sheet metal wall panels made for the Throckmorton Court House, Throckmorton TX. Some of our latest work, as it develops. 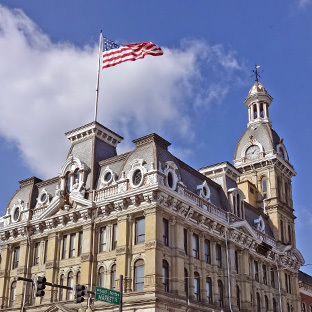 The Wayne County Courthouse was constructed from 1877 to 1879, designed in classic Second Empire style.Heather and Little played a role in the $5.5 million exterior renovation project. 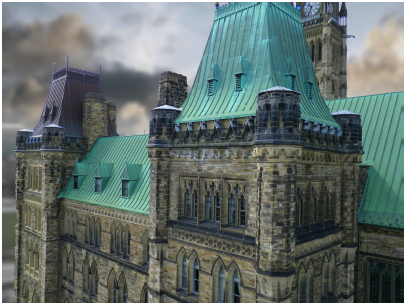 This project consists of the rehabilitation of and new additions to the four-story West Block, one of Canada’s Parliament Buildings.The first phase of the building was designed in 1859 in the Gothic Revival Style, and officially opened in 1865. Heather and Little are replacing the existing copper roof. Currently, the West Block should be completed in 2017. Heather & Little has been contracted to produce decorative zinc stampings for a new custom rainwater system. H&L recently signed a contract to reproduce sixty-six double hung copper kalamein windows for this historic 12-storey building located at 1780 Broadway Ave. New York City. Working with Stratcor Construction, to replicate six sets of historic kalamein bronze doors. Once produced they are being installed at the John Sopinka Courthouse in Hamilton ON. 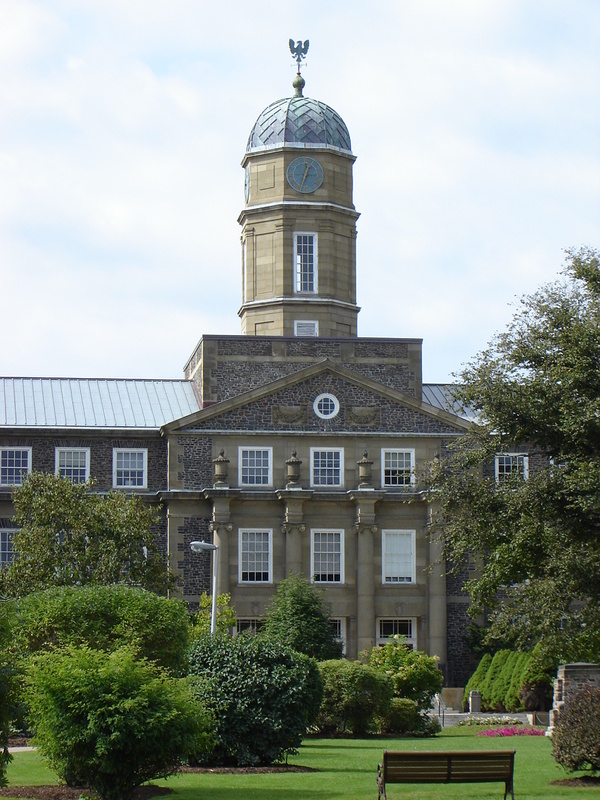 Work scheduled to begin on the Henry Hicks Building Dalhousie University in Halifax NS. Heather & Little will be working with Coastal Restoration, our part is to renew the copper dome and cupola work. 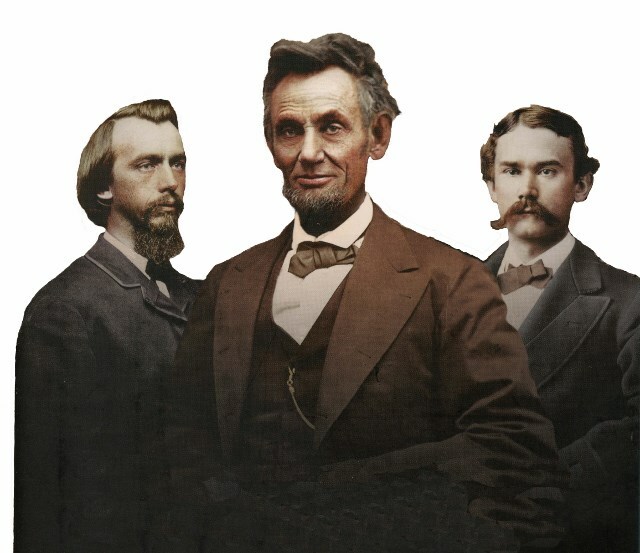 H&L’s V.P of Sales Marc Jamieson just received an order of commissioning a replica bronze statue of Abraham Lincoln with the “Lincoln Boys” Lincoln’s presidential assistants. Copper roof restoration, including decorative copper cresting replication, finials, and pressed decorative copper work.